Diode-pumped solid-state lasers are available at emissions near the 488-nm argon-ion laser line, which can be used for excitation in confocal microscopy and other fluorescence-based detection and imaging techniques. The solid-state lasers are small, use little energy and are very stable, making them an attractive alternative to gas lasers. Still, solid-state lasers generally cost more than gas lasers and typically don’t provide multiline capability, which is important because of a growing demand for fluorophore multiplexing. Researchers can incorporate multiple excitation sources into their experimental setups, but this leads to still higher costs as well as added complexity of the setups. Hjalmar Brismar, an investigator with the Royal Institute of Technology in Stockholm, Sweden, was looking for a 488-nm solid-state laser to provide excitation, mostly for cell volume measurements. He was aware of these limitations but found that the Dual Calypso laser made by Cobolt AB, also of Stockholm, offered multiline capability in a single diode-pumped solid-state device. He and his colleagues, therefore, tested the laser to determine whether it could replace the conventional 488-nm argon laser they had been using. A new solid-state laser addresses some of the limitations of gas lasers and, furthermore, provides simultaneous blue and green emission from the same instrument, which could be useful in experiments requiring multiplexing of fluorophores. Indeed, this was the primary motivation for developing the laser. The company’s researchers chose to combine two well-known and widely available diode-pumped solid-state lasers (491 and 532 nm), “mainly because we knew this would give us power scalability, very nice beam and no issues in supply of components,” said Håkan Karlsson, Cobolt’s vice president of business development and technology. The design also enables simultaneous green emission from the same laser, which can replace the 488/514 lines from an argon laser and is less expensive and complex than using two solid-state lasers at 488 and 532 nm, especially because no beam-combination optics are needed. Studies have shown that when employing simultaneous emission of blue and green light in fluorescein detection, for example, the fluorescence can be contaminated with the green from the excitation source. However, placing a 532-nm filter in front of the detector yields good resolution for fluorescein as well as improved detection for longer-wavelength fluorophores, according to Karlsson. Brismar and his colleagues, including Mårten Stjernström and Fredrik Laurell, tested the laser by integrating it into a confocal laser scanning microscope made by Zeiss, which is typically outfitted with an argon and a HeNe laser. They imaged fluorescently labeled bovine pulmonary artery endothelial cells. The emissions from the cells clearly showed F-actin filaments stained with fluorescein and mitochondria stained with rhodamine, demonstrating the potential of fluorophore multiplexing with tight spectral distinctions using the laser. In fact, they noted that the images may even have been of higher quality than those obtained with conventional gas lasers. Researchers tested the laser by imaging fluorescently labeled bovine pulmonary artery endothelial cells. The emissions from the cells revealed parts of the cell stained with fluorescein and rhodamine, confirming the laser’s potential for multiplexing even with tight spectral distinctions. 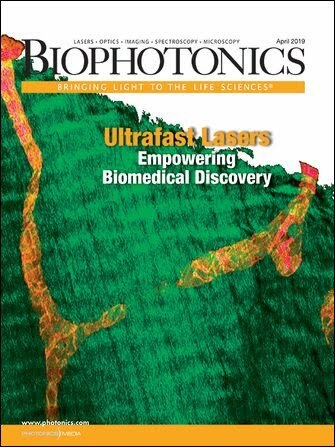 The investigators plan to employ the laser generally for studies of salt and water balance in epithelial cells. Currently, they are using it for studies of aquaporines, which are water channel proteins. For this, they use a confocal technique to explore the water permeability of the plasma membrane in living cells and to test how this permeability might be regulated via the aquaporines and their regulation. The laser could be useful for other applications, particularly those that benefit from wavelength multiplexing. Indeed, Brismar believes that, in the not-too-distant future, solid-state lasers such as this could replace argon lasers in all new confocal systems. “We already see that Carl Zeiss uses 488- and 532-nm solid-state lasers as the main lasers in their new LSM5 Live systems,” he pointed out. To extend the potential of its laser, Cobolt plans to expand the range of available wavelengths. New models might offer excitation in the orange and ultraviolet regions, for example. Brismar has some additional ideas. Incorporating the lasers into the microscope’s scan head and introducing fast optical modulation would produce more compact confocal microscopes, with more lines and simpler excitation beam paths, he said. Contact: Håkan Karlsson, Cobolt AB, Stockholm, Sweden; e-mail: hakan.karlsson@cobolt.se. Hjalmar Brismar, Royal Institute of Technology, Stockholm; e-mail: brismar@kth.se.